Just before midnight a rod slammed over and Roger was into a fish. 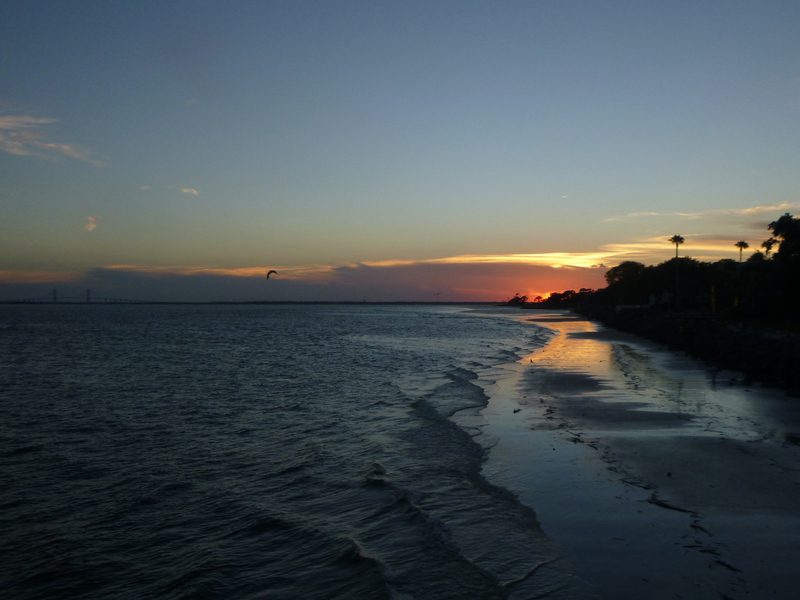 In a strong tide a powerful shark becomes almost unstoppable! 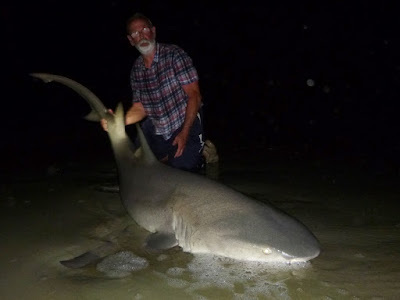 But over two and a half hours later an exhausted but delighted Roger had a 7’ 8” new PB Lemon Shark on the beach. A seven footer!! You can’t quit if there are monsters on the feed - and about 3am another bait was hit - my turn for a work out! The 180 yards of mono was gone in seconds and probably 100 yards plus of braid backing. It took over an hour and a half to get all that back. 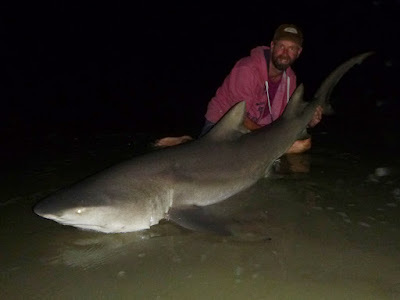 I had my own seven footer, a 7’ 7” new PB lemon shark was quickly measured and returned. Brilliant! What a night, our guide really knows where to find these sharks - without extensive local knowledge you wouldn’t stand a chance - cheers Paulos! 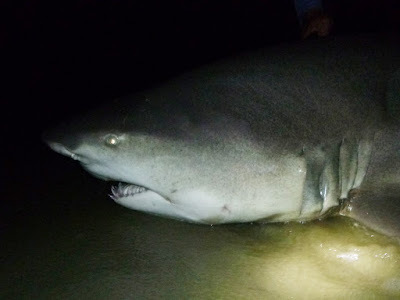 Lemon Shark, 7’ 8”. Fight time: 2:32. New PB. Lemon Shark, 7’ 7”. Fight time: 1:40. New PB. Looks and sounds like you're having a cracking time Brian !! Brilliant fishing - words cannot describe it! I recognise that spot - it's Lydney looking down the estuary towards the original Severn Crossing isn't it! Damn, did the palm trees give it away? !